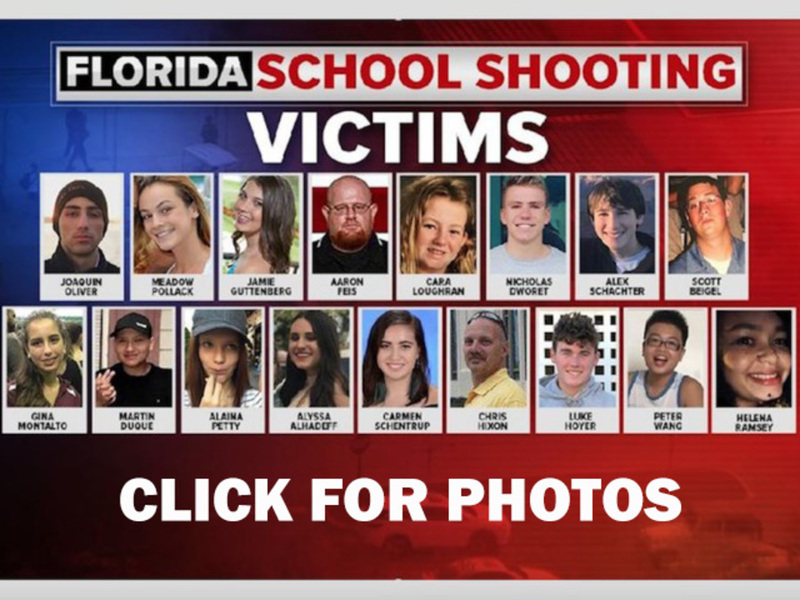 Wednesday will mark two weeks since the Parkland shooting at Marjory Stoneman Douglas High School. "First day there was nothing here," said Tanzil Philip on the memorial outside his school. "Now it's crazy." Philip will return to class. "Feeling really scared about going back in," he said. He's been busy since Feb. 14 with the Never Again Movement for action on gun control. He traveled to Tallahassee last week, putting the pressure on state leaders to make a change. "I'm just happy that the movement has come this far and all the other movements, the what if movement, the new movements we're starting," said Philip. "What if" is the new campaign on social media. Stoneman Douglas students have been sharing videos of themselves asking the "What If?" "It's moving. Like what if he didn't have access to a semi-automatic rifle, would Douglas happen," said alum Alenna Joyce. Meanwhile, Tanzil says he and his fellow students will continue with these campaigns or movements. "I'll be going back to school to keep the movement alive in school," said Philip. The movement leads up to the March For Our Lives in Washington, D.C. on March 24.